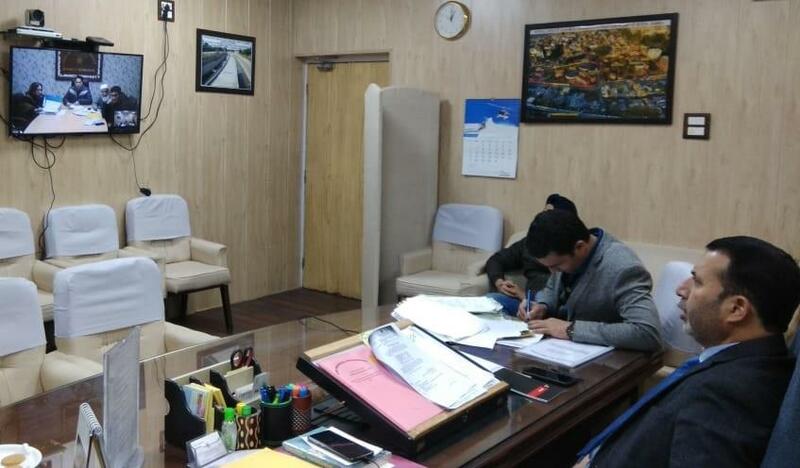 JAMMU, JANUARY 16: Secretary PHE, Irrigation & Flood Control, Farooq Ahmad Shah, today chaired a meeting with PHE, Law, Revenue, UEED and wildlife officials to discuss the action plan for rejuvenating the pre-existing network of streams, wetlands, lakes and rivers in the state. The meeting held via video conferencing was attended by Chief Engineer I&FC Kashmir, Additional Advocate General, Additional Deputy Commissioner Srinagar, Superintending Engineer UEED Kashmir, Regional Wildlife Warden Kashmir, and other officers of line departments. The meeting was convened in the backdrop of the High Court directions to prepare an action plan for re-establishment of pre-existing network of streams, wetlands, lakes and river Jhelum. “It is need of the hour to have an action plan for re-establishing the pre-existing network of water bodies,” Secretary said. He stressed upon the officers to work on the action plan with added zeal so that calamity like 2014 floods does not recur. He said Government has taken several measures in this direction and carried out de-silting of Jhelum River and other bottlenecks to increase its carrying capacity. Shah said that joint efforts are required for implementation of the programme and directed Chief Engineer I&FC Kashmir to coordinate with the Forest Department, LAWDA, UEED and Wildlife for protection of the natural resources. Urging for early geo-mapping of pre-existing streams, the Secretary asked concerned officers to maintain close coordination so that a comprehensive action plan for their revival is prepared.